There are two deleted scenes hidden as Easter Eggs. To find them, go to the last disc. Click on Special Features and then Click on gag reel. When playing press back a scene (you may have to press it more than once) to go before the beginning of the gag reel. You will find a scene between Chuck and Cas. 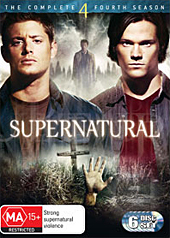 Press back a scene again (while on Chuck.Cas) to find a scene between Sam and Dean.